I’ve been a little hexagon crazed lately and I don’t think that I am alone. The saying “what was once old, is new again” comes to mind. 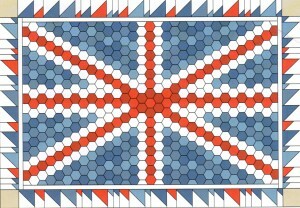 There are a lot of good places online to find information and see projects made from English paper pieced hexagons. Do you belong to Flickr? It is a photo sharing website and a place where many quilters share pictures and descriptions of their quilts. There are different Flickr groups where you can see hundreds of photos of things made of pieced hexagons. A few with the most pictures are (Handsome) Hexies and Grandma’s Garden. There is also an English paper piecing group on Flickr where I found this wonderful link to a picture tutorial by Sunshine Creations’s Vintage Threads. This tutorial includes “Ways of cutting fabric”, “Basting” and “Assembly”. Very concise but it covers so much information! Do you know about Craftsy.com? Craftsy offers online video classes involving quilting, knitting, and garment sewing to name a few. Most of the classes have a fee which is usually quite reasonable and are often on sale. You can download the video instructions and watch it whenever and for as many times as you wish. It is also set up so that you can communicate with the instructor and others in the class through a forum. I have bought and watched several of these classes and I really enjoy them. 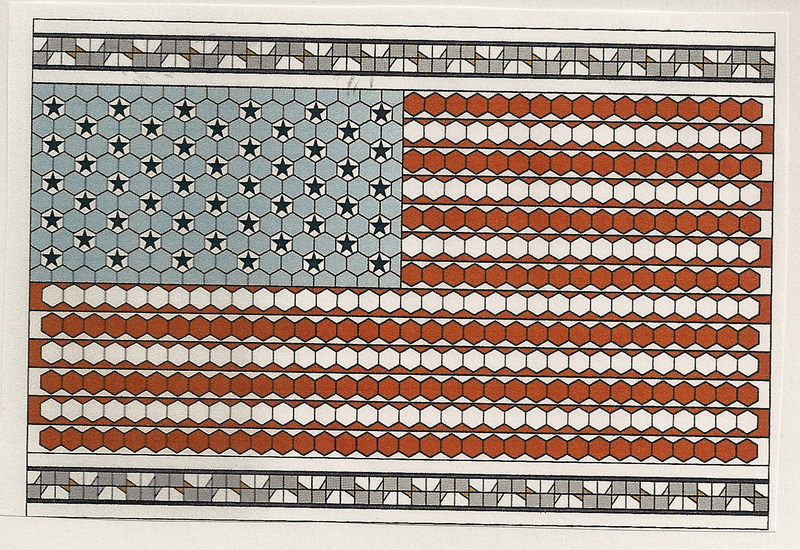 Craftsy offers a FREE block of the month class by Amy Gibson. 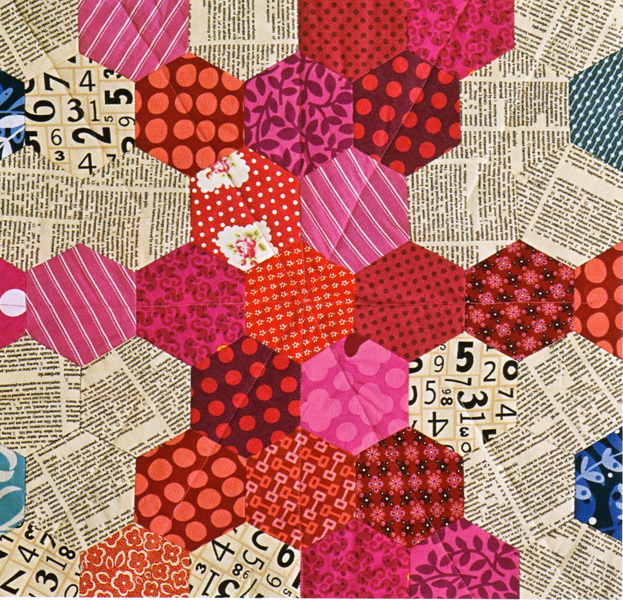 It started in January 2012 and the April blocks are English paper pieced hexagons. 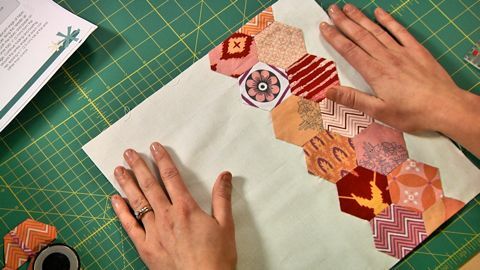 This Craftsy class gives great video instructions for making this and another hexagon themed block. If you enroll in this free class, you will be able to see the instructions for all of the blocks from the other months as well. Each month focuses on a completely different technique. 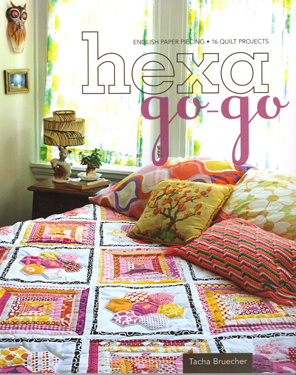 There is a wonderful quilt book published recently called “hexa go – go” by Tacha Bruecher. This book includes 16 english paper pieced quilt projects as well as basic instructions for the technique in general. Two of the projects seem especially suited for working on in front of the 2012 Olympics. 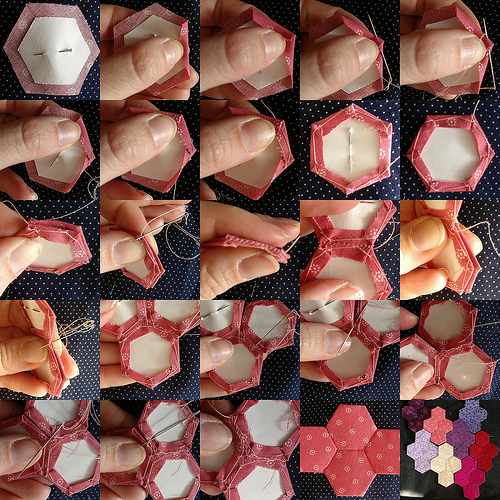 Would you like to watch some short video tutorials on piecing hexagons? YouTube is the place for that. Here are a couple that I thought were helpful. As you can see, it’s easy to spend LOTS of time looking at and learning about hexagons instead of actually sewing them! Got to go sew now. Hope that you do too!